The hotel is located on the east side of the peninsula, directly on the lake with private garden and private beach, equipped with comfortable sun loungers, swimming pool and play corner for children; Private and enclosed parking. The hotel is on four floors with a large lift; it has double rooms with a lake front view towards the garden and the lake and basic or family rooms to the parking lot. 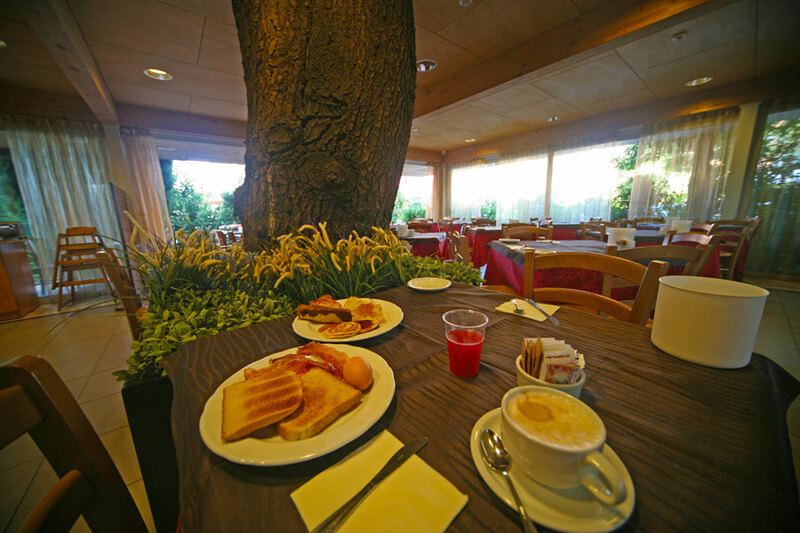 Hotel Smeraldo servicies: The exterior spaces of Hotel Smeraldo offer a relaxing lake garden, play area and children’s pool in the shade of the characteristic olive groves of the Garda. 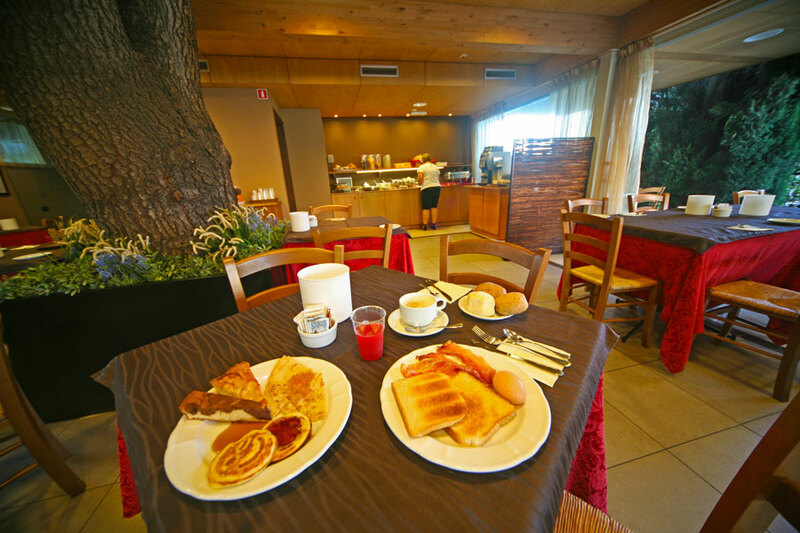 Breakfast is served in a characteristic, light-filled, wooded lounge room with a generous buffet of sweet and savory products, pies, brioches, yoghurt with cereal, cheese and salami, eggs and bacon; The buffet opens from 7.30 to 10.00. 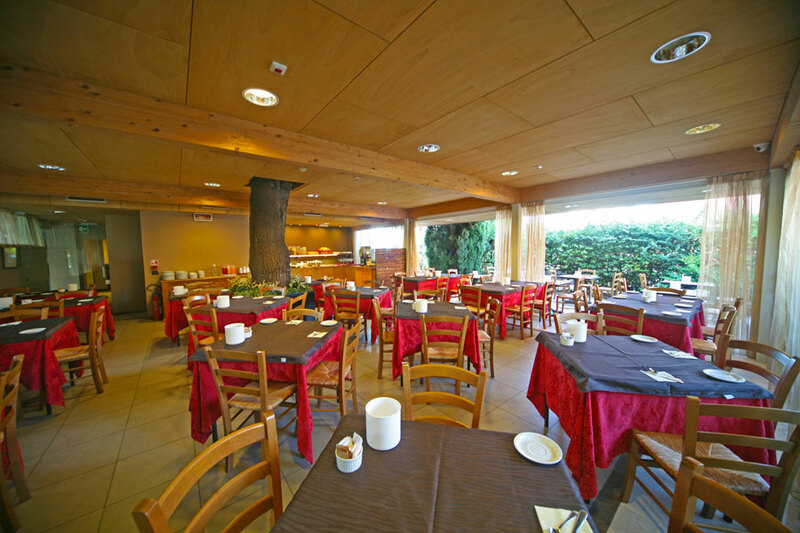 The restaurant is in hotel La Paül (on the other side of the street); At a conventioned price of € 20 per person excluding drinks, the half-board (dinner) menu offers a choice of four first, four-second, vegetable buffet (in season) and dessert with typical local cuisine, Lake fish (whitefish, trout, pike, sardines, codfish), Garda oil and even Italian cuisine. Our wine list is mainly composed of typical wines of the area such as lugana, valpolicella, bardolino, custoza, coming from small and medium sized cellars, for a product closer to the territory. For the finest and most demanding palates we recommend the restaurants in the historic center of Sirmione, which, at appropriate prices, will offer them all delicious.